In the past several years, the solid waste industry has witnessed important changes in the business practices of the industry that is continuing to have a profound effect on the status of the solid waste industry. 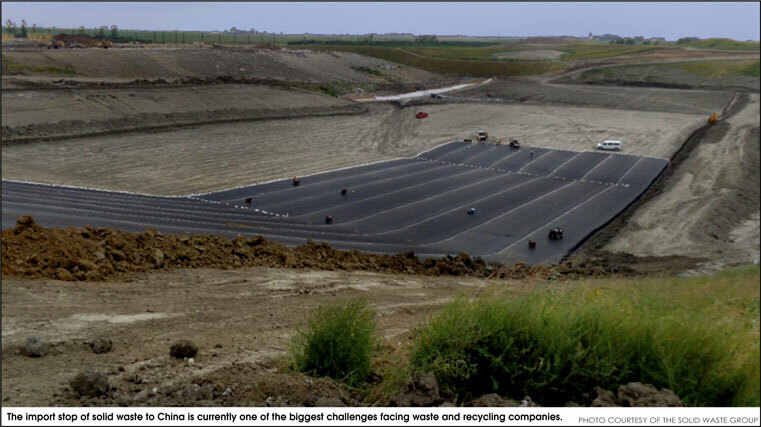 According to Martin Vogt, president and chief executive officer of EFS-Plastics Inc., the import stop of solid waste to China is currently one of the biggest challenges facing waste and recycling companies. On July 18, China notified the World Trade Organization (WTO) that it would stop accepting shipments of some waste – such as waste plastic, paper, slag from steelmaking, waste wool, ash, cotton, and yarn. The ban is expected to take place by the end of 2017. According to Reuters, China imported 7.3 million tons of waste plastics in 2016, valued at $3.7 billion, accounting for 56 percent of world imports. And the U.S. and Japan are the two biggest exporters of plastic waste to China. In addition to having “all eyes on China and their reluctance to import solid waste from the U.S., the solid waste industry is trying to meet the expectations of smarter, more connected clients with higher expectations for data and diversion. “As more companies are setting measurable sustainability goals, data will become increasingly more important,” said Kristin Kinder, project lead at Ecova, a sustainability and energy management company. As of early 2017, 210 companies (including Proctor and Gamble, General Mills, and Kellogg) have set science-based targets for sustainability initiatives.